Nothing like a fine, big basket. great!! do you know which bike that is? Is that an IKEA bag ?! the bike looks like a van der falk. Oh the girl looks so cool in that big bike. big bike for that heavy stuff.Nice one! The girl is great in the picture. The bike is so helpful.Great picture. 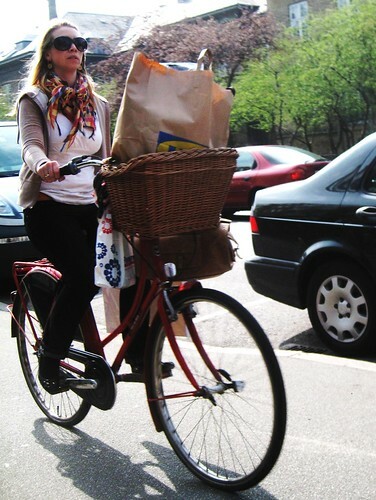 Bike with a big basket is a blast! The girl looks so chic.Nice outfit and nice ride.